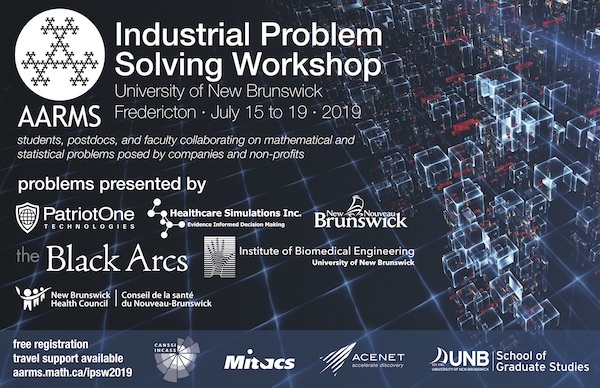 A Collaborative Research Group (CRG) consists of Atlantic Province University researchers with common research interests who wish to work collaboratively. 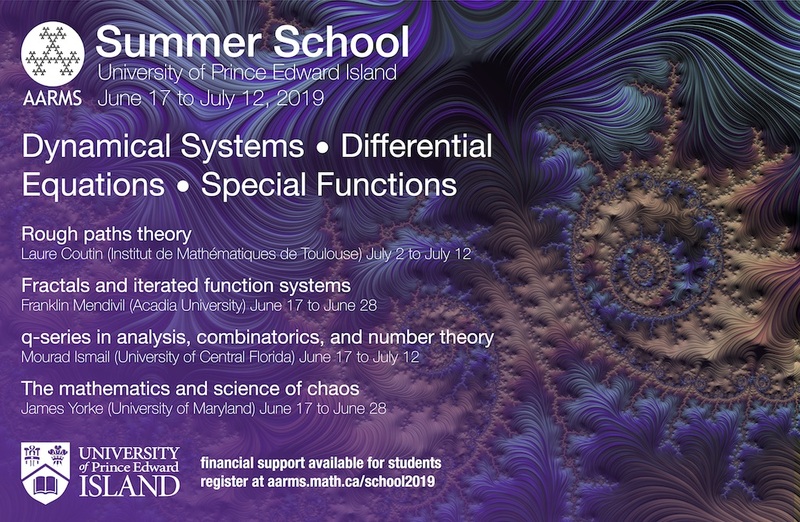 Members of a CRG typically organize intensive workshops, share PDF appointments, coordinate graduate training programs, propose and assist in AARMS summer school programs, jointly supervise graduate students, and carry out other activities supporting their research. AARMS provides up to $20,000 per year for a period of up to 2 years to funded CRGs. CRG research programs are expected to involve national and international collaborations that persist after the end of AARMS funding. CRGs are also encouraged to collaboratively seek additional external funding. AARMS believes that groups of researchers with common research interests can benefit from sharing resources and coordinating activities. CRGs offer young researchers a larger community for growing their research program. 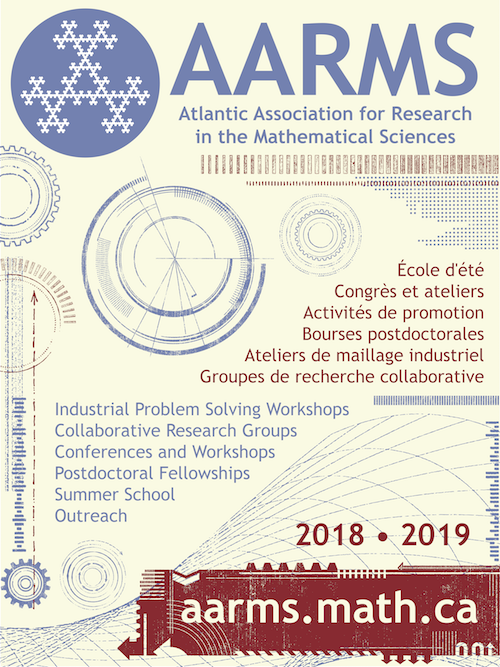 AARMS also believes that the critical mass achieved by CRGs will help the Atlantic Provinces to recruit and retain faculty in the mathematical sciences, to attract postdoctoral fellows, and offer enhanced graduate student training programs. In this CRG round, we expect that two or fewer groups will be funded. AARMS will accept submissions from groups of researchers from two or more AARMS member universities who demonstrate that they have common research interests and wish to collaboratively pursue some aspects of their research programs. The proposed research program should involve national and international connections and collaboration that will persist after the end of AARMS funding. Current or previous CRGs are eligible to apply for funding. CRG funds cannot be used as matching funds for an AARMS postdoctoral fellowship. Also, CRG funds may not ordinarily be used to pay an honorarium to a visiting lecturer. If compelling reasons exist for paying an honorarium, the CRG may approach the AARMS Executive for permission. A request for permission must take place before any arrangements are made. Funded CRGs enjoy preferred status for applications to other AARMS programs during their tenure. If you are uncertain about the eligibility of certain activities please contact us. AARMS will award successful applicants up to $20,000/year paid in two annual installments. Payment of the second installment will be contingent on the receipt of an acceptable first year report as well as the continued availability of funds. The first year report must include a detailed description of both the CRG’s scientific activities and the use of AARMS funds. AARMS reserves the right to adjust the value of the second installment based on budgetary considerations. A final report (similar to the first year report) is to be submitted to AARMS at the end of the 2 year funding cycle. All CRG applicants must name a Group Administrator who will be responsible for all communication with AARMS and who will, if funding is approved, administer the group’s accounts and prepare progress reports for AARMS. An AARMS CRG is expected to maintain a website with a list of current members, group publications, and past and upcoming events. involve national or international collaborations/members. The name of the proposed CRG. The name of the academic administrator. A listing of CRG members from AARMS member universities. A listing of CRG members from other institutions. A brief description of the proposed research area. A brief description of past collaborative activities of proposed group members. A brief description of proposed group activities, including tie-ins with other AARMS programs. The LOI should be no more than three (3) pages long and submitted to the AARMS Executive Administrator via email in pdf format. All LOIs will be assessed by the AARMS Executive Committee using the evaluation criteria listed above. The Executive Committee will invite several groups to submit full applications to be assessed by the AARMS Scientific Review Panel. A detailed description of the proposed research area. A detailed description of past collaborative activities of proposed group members. A detailed description of proposed group activities, including tie-ins with other AARMS programs. A description of plans (if any) to secure additional funding. A two-year CRG budget showing all anticipated sources of revenue and expenses. Full applications should be no more than ten (10) pages long and submitted to the AARMS Executive Administrator via email in pdf format by April 1, 2019. All full applications will be assessed for scientific merit by the AARMS Scientific Review Panel. Final decisions on funding will be made by the AARMS Executive Committee.